Prep: Follow instructions listed on the package. 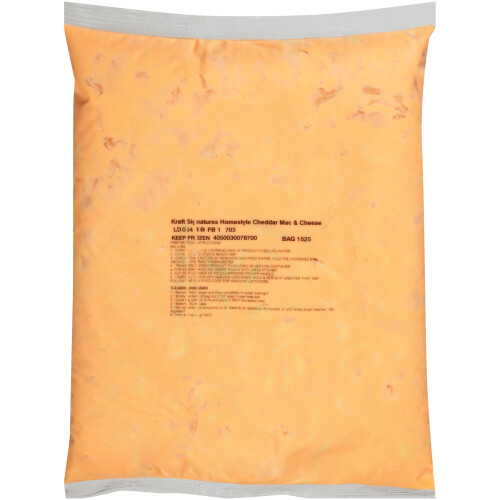 Ingredients: enriched macaroni product (wheat flour, glycerol monostearate, niacin, ferrous sulfate [iron], thiamin mononitrate [vitamin b1], riboflavin [vitamin b2], folic acid); cheese sauce (whey, cheddar cheese [milk, cheese culture, salt, enzymes], milk, whey protein concentrate, canola oil, sodium phosphate, milk protein concentrate, contains less than 2% of salt, lactic acid, sodium alginate, sorbic acid as a preservative, oleoresin paprika [color], enzymes, cheese culture, annatto extract [color], milkfat, natural flavor); modified food starch, maltodextrin, acetylated monoglycerides, salt, medium chain triglycerides. 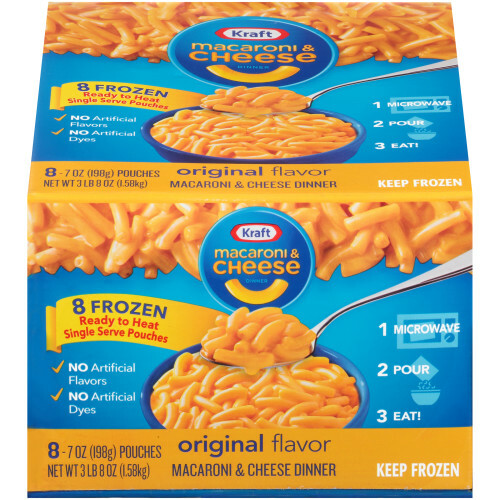 Kraft Signature Homestyle Cheddar Mac & Cheese with elbow noodles, brings in rich, creamy real KRAFT cheese to create a one-of-a-kind experience. 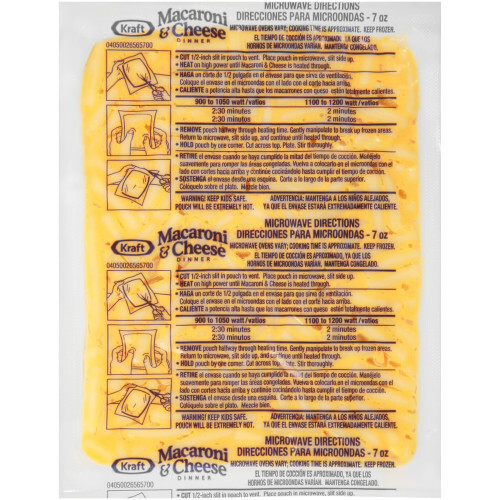 These frozen bags are easy-to-use and provide a convenient kitchen solution. 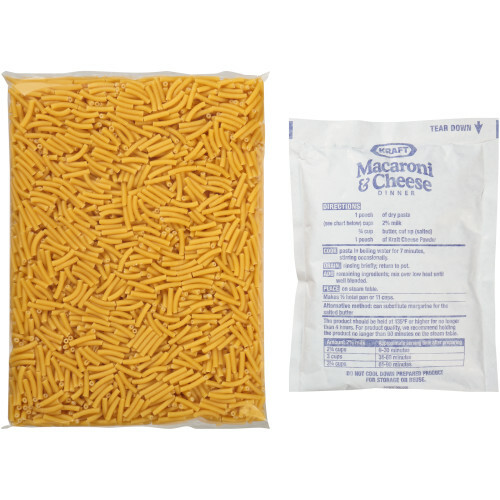 With our iconic cheesy flavor and classic macaroni shape, the Original Kraft Mac & Cheese is full of the taste you know and love. You know you love it, and now you can love it in the bulk format!